INDIANAPOLIS--Pres. George H.W. Bush visited Indiana several times during his presidency and vice presidency. He came here as an ambassador for the U.S. to the world during the Pan American Games in 1987. He spoke to the graduates of Notre Dame in 1991. He stood up for veterans in 1992. But, perhaps the biggest impact Bush had on Indiana was his selection of then-senator Dan Quayle for his running mate in 1988. The move confounded the Dukakis campaign, and even Indiana's Republican leadership when the announcement was made at the Republican National Convention in New Orleans. They wondered why the nominee chose someone who was not well-known. "I don't know that anyone has that answer except Mr. Bush," said Ball State History Prof. Nicole Etcheson. "It was speculated that having been Ronald Reagan's sidekick for eight years, Mr. Bush wanted someone who would be his man." "His record is outstanding. Yes, he's young, and that's an asset. He'll have broad appeal," said Bush, at a news conference with Quayle after the selection. "I've listened to his peers and the accolades from the senators with whom he serves speak eloquently of Dan Quayle's standing to be one heartbeat away from the presidency." "As so many Americans did, I had true affection for the man George Bush," said Quayle after learning of Bush's Friday night passing, in a statement. "He was a completely genuine, decent and honorable person. What’s more, he went into and out of the office as absolutely the same man. I think that exemplifies his character. 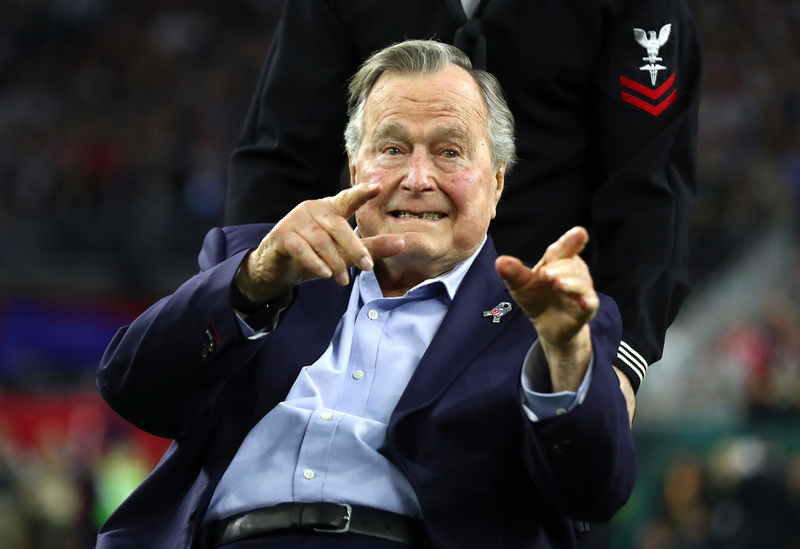 I have often told my children 'If you want a role model in your life — look to President George Herbert Walker Bush.' The world mourns the loss of a great American. But, it also celebrates a life well lived." Bush visited Indiana several times during his vice presidency, and Etcheson said that's when he heard about Quayle from his peers in Indiana. One of those visits was to open up the Pan American Games in 1987. "I'm a great believer that sports can cut across all these political lines," he told CBS in the television coverage from the Indianapolis Motor Speedway. "Remember China's ping pong diplomacy? That was sports that brought these countries together." Bush officiated the opening ceremony. On his first visit to Indianapolis as president in 1990, he attended spoke with the family of Ryan White, who was dying of AIDS. Bush's predecessor took criticism for being late on embracing AIDS research. While Bush didn't attend White's funeral, Mrs. Bush did. In 1991 he received an honorary degree from Notre Dame and spoke at the commencement. "Show what it means to be a person of strong principle and integrity," he said. "Demonstrate how concerned individuals by working in partnership, can transform our communities and nation." He spoke of family values and ended the address with "Never bet against Notre Dame". In 1992, Bush made a stop in Indianapolis just before heading to the Republican National Convention to accept the Republican nomination for a second term. "Courage will be on no use if fighter planes can only be found in museums and our ships are all in mothballs," he told a VFW convention. "My loyalty lies not with the Gallup polls, but with our young people who must gallop in the way of danger." Bush went on to lose the race for president and slipped into private life. Perhaps his world view from '92 on could be summed up with the end of his speech at Notre Dame. "There is no surer way to build our nation's future, then with the mortar and the bricks of moral values and strong families."